We take the time to listen to your family's needs and concerns to ensure the best dental experience for you & your loved ones. Defeating decay with a preventative routine can leave you looking forward to the good news at your dental visits. There are many reasons to choose our dental practice, the most important of which is TRUST! Yes, we have modern dental technology, a great location in a clean office, an extremely friendly dental environment with some of the most talented dental providers in the Cary area, but that’s all irrelevant if you don’t honestly know that your best interests are at the heart of what we do here. Sure, that sounds great, but those are just words… prove it, you think to yourself as you read this. “Proving it” is exactly what we do every day with our dental patients – we will earn your trust. Dentistry, like so many other professions, has some gray areas, or scenarios where a best judgement needs to be made. When we, as your health care providers, find ourselves in that position (often daily), we do not expect our patients to simply trust us because we have some letters that follow our name (RDH, DDS, DMD)…rather each of our providers (hygienists and dentists) will thoroughly explain each individual scenario with intraoral photos and appropriate diagnostic testing (pulp testing, digital x-rays, 3D cone beam scans, etc), explained in detail. Our dental patients are involved in the decision-making process, are fully informed before any treatment is initiated and ultimately get to see the results of any dental procedures performed in the form of photographs and/or x-rays. Because our office has an ultra-conservative approach to treatment recommendations, it is quite common that a mutual decision is made between the patient and dentist to monitor questionable areas. Having arrived at an educated decision to monitor some of these areas, we will double check anything suspicious at every six month dental checkup. Occasionally, at a future examination, we find that a “watch area” requires dental treatment, but more frequently, we find that these areas can remain stable with no treatment required for many years. If there is a change, we will compare the previous photos/x-rays to the current ones in order to earn your trust. Finally, read our reviews! Our patients frequently tell us that what we do at Wake Dental Care is different than what they have experienced at prior dental offices. Call our Cary office and give us a chance to earn your trust! Unfortunately, adult teeth do not grow back once they are gone. Dental implants are a permanent way to gain a functional and custom-made tooth that looks and feels just like it should. Dental implants are implanted directly into your jaw bone, which fuses with your jaw bone naturally. The results give every patient the strength and look of a natural tooth. Deep teeth cleaning allows you to have healthier gums, solid teeth at the base, and even fresher breath. When there is gum disease or a buildup under the gum line, your dentist can go below your gum line with a scaling tool that uses ultrasonic sound waves to remove debris and smooth the tooth's root. Oral cancer screening is the part of a dentist's work where they thoroughly search your mouth for anything that looks suspicious. If anything abnormal and potentially cancerous is found, the dentist will recommend a biopsy with lab-based microscopic analysis. Screening for oral cancer gives you peace of mind, and may even save your life. 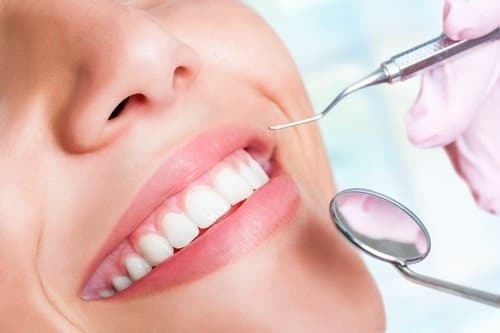 Gum disease requires periodontal therapy, in order to control its effects and minimize the damage that this disease causes to your gums, jaw bones and teeth. Periodontal therapy consists of more thorough dental exams, additional cleanings when necessary, and an extended personal regimen of oral hygiene practices that can save your teeth. Cosmetic dentistry is the practice of improving your smile's overall look. The field of cosmetic dentistry encompasses a variety of aesthetically based procedures, from tooth whitening and dentures to veneers. With cosmetic dentistry, you can smile with more confidence because the smile you have always wanted will be the smile you have. 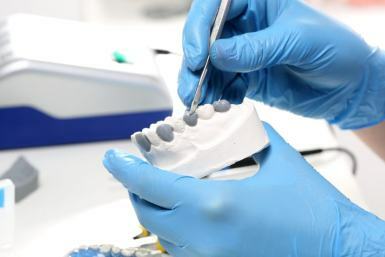 Dental crowns are the process of attaching an additional material, such as porcelain, to a significant part of your existing tooth in order to repair it. This works to both make your smile more aesthetically pleasing and to help with your bite. Teeth can be damaged in a variety of ways, and dental crowns restore your teeth to their best form. Your smile is not just your teeth, with your gums rounding it out. If your gumline needs to be reduced or evened out, gum contouring is perfect for you. Gum contouring is the process of reshaping your gums to be even, appealing and to fall at just the right points on your teeth. Teeth can be damaged in many ways, and onlays can be perfect for restoring both your bite and your best smile. With a minimum of tooth preparation, onlays are custom pieces of porcelain that are permanently attached to any damaged teeth. Unlike a crown, most of what remains of your tooth is kept. We can beautify your teeth with porcelain veneers. A porcelain veneer is a very slim, custom tailored piece of porcelain that can be colored to both match and enhance the look of your other teeth. There are numerous shades we can color, and we can even provide the appearance of a different shape onto your existing tooth. Using materials that help to strengthen your teeth and repair fractures, dental fillings are a great way to have an intact, healthy smile again. Whether a tooth is damaged due to tooth decay, a fracture or any other kind of damaging event, getting a filling looks natural, feels natural and keeps your smile healthy. Over time, your teeth can lose some of their brightness. Staining can come from a variety of sources, including plainly eating over time. This can make you look older than your years. Fortunately, teeth whitening allows you to have whiter, healthier looking and younger looking teeth. This simple procedure restores the brilliance of your smile. Through the use of grafting material, we can prevent bone loss in your jaw through dental bone grafting. If a tooth is missing, its lack will open you up to bone loss. This can be prevented with a relatively simple procedure. Even if damage has already occurred, a dental bone grafting procedure can restore your jaw's strength. A lot can happen in your mouth, and sometimes there is damage that a filling or a crown simply cannot repair. In more challenging situations, oral surgery may be the best option for restoring your mouth, bite and smile to the best condition possible. Sedation can ease your anxiety, and make your oral surgery a simple matter. The root of a tooth is a sensitive place, and infection there can be very painful. Having root canal therapy can actually ease a lot of pain by repairing the damage to your tooth's root. Being sedated during the operation can make it pain-free and ease any anxieties you might have. Despite the best work possible, sometimes a tooth simply cannot be saved. Fortunately, tooth extractions are comfortable, quick and simple ways to avoid any further damage to your mouth as a whole. This can be coupled with the preparatory work for other procedures that will restore your smile to its former glory. Children and adults need dental care throughout their lives, and for this reason, family dentistry is vital. Your family dentist will see you, your spouse and your children for as long as the dentist continues to work. This continuity of care means that your dentist will be with you for the duration if any problems arise down the road. A significant part of your child's health is their oral health, even if they still only have their baby teeth. Getting your child in the practice of taking good care of their mouths is vital, and children's dentistry helps children between the ages of 1 and 11 to have the healthiest smiles possible. Cavities can happen easily in developing teeth, as there are many tiny crevices where bacteria can hide and cause damage. Using dental sealants, a young child's burgeoning adult teeth can be protected against cavities. This protection makes it less likely that the child will end up having further dental work down the road. Sleep health is very important, both for your oral health and your overall quality of life. Obstructive sleep apnea can be identified through a dental checkup and confirmed through testing. From there, an oral appliance can be crafted to aid in breathing for patients who are not good candidates for using a CPAP machine. Teeth grinding bruxism happens during the night when a patient's teeth grind together. Over time, even young patients can have teeth that have a worn away appearance with particularly thin enamel. By identifying this problem early on, your dentist can work with you to develop a solution to the problem. Invisalign allows you to have straight teeth the way you could with braces, only without the look and potential discomfort of braces. Using Invisalign, your teeth are slowly realigned so that the teeth and roots become straight, making your bite more comfortable and your smile more aesthetically appealing. Plus, Invisalign can be taken off to brush, floss or chew. If you have been afraid of dental procedures, you should know that there is a simple solution to this nervousness. Sedation dentistry is just like other kinds of dental work, only you can nap right through the procedure. You simply breathe in a mild sedative, drift off, and when you wake up your procedure will have passed. Dental bridges allow your dentist to “bridge” the gap between teeth when one or more teeth are missing. You can have a complete, lovely smile and a bite that feels natural with our custom made dental implants. This is a permanent way to restore your smile to its former glory. Teeth and gums are delicate, and time or accidents can wear them away to the point where we lose them. If you have lost tooth or gum tissue, dentures are an excellent option. We will build dentures specifically for your mouth, and ensure that they fit well. Your dentures will function as your original teeth but will be reparable or replaceable as needed. We take the time to explain treatment and use the latest in dental technology to ensure a conservative approach to your dental care. We have specialized eyepieces and special decay-detecting dye to be sure we can see the smallest amount of decay and remove only the diseased portions of the tooth. Our iTero scanner allows us to scan your teeth and create restorations with world-class accuracy. 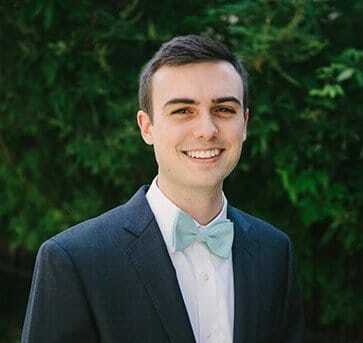 Dr. Bohn is a native of Pennsylvania. 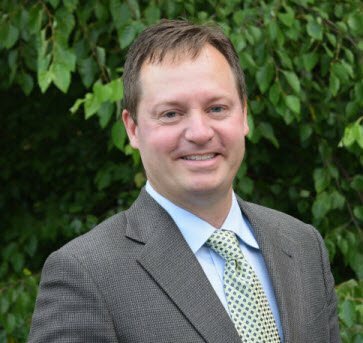 He earned a Bachelor’s of Science in Biology at Penn State University and a Doctorate of Medical Dentistry from Temple University School of Dentistry. Dr. Jerry Allen was born and raised in Eastern North Carolina. He received his Doctorate of Dental Surgery (D.D.S) with Honors from the University of North Carolina at Chapel Hill. 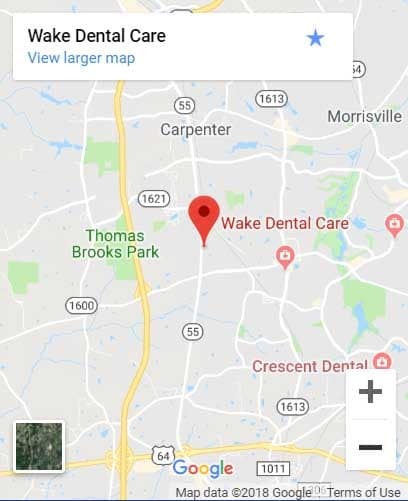 Wake Dental Care is Located in Cary, NC but Graciously provides services to neighboring communities including but not limited to Research Triangle Park, Apex, Holly Springs, Garner, Oak Grove Township, Fuquay Varina, and Morrisville. What Are Some Best Ways To Find a Dentist Near Me? What Are Some Expectations I Should Have At The Dental Office? What Does A Dentist Do At A Visit Typically?